In anticipation of Halloween’s hoopla, this post looks beyond the costumes-covered in our post on the P(arty)-and to the landscapes breeding the frightful. Ross Eugene Braught, Forest Interior, Ink on paper, David Cook Galleries. Click to inquire. In anticipation of Halloween’s hoopla, this post looks beyond the costumes-covered in our post on the P(arty)-and to the landscapes breeding the frightful. The forest. As a setting for famed fairy tales and Disney stories, the forest exudes the mysterious. 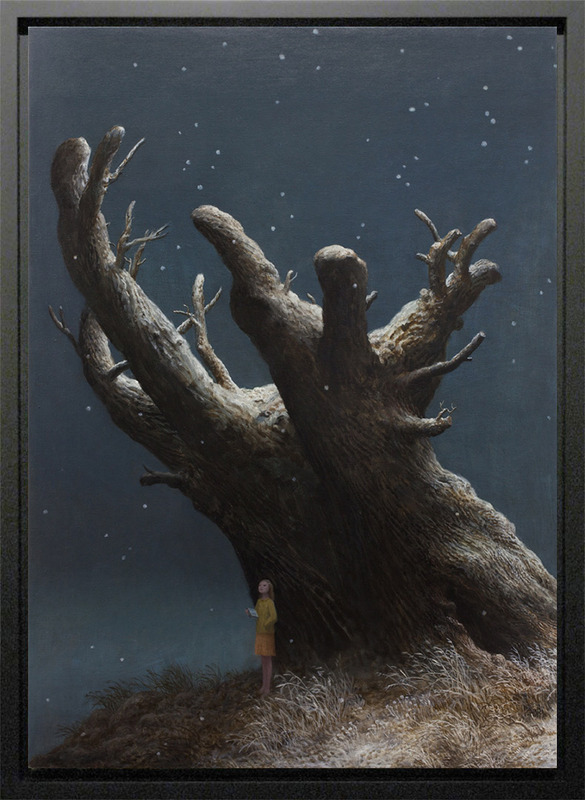 Aron Wiesenfeld, God of the Forest, Oil on canvas, Arcadia Contemporary. Click to inquire. Out of reach of civilization, more so now than ever, the forest is a realm of the supernatural. In Victorian times, through the industrial revolution, saw it as the habitat of fairies “captured” through the new medium of photography. 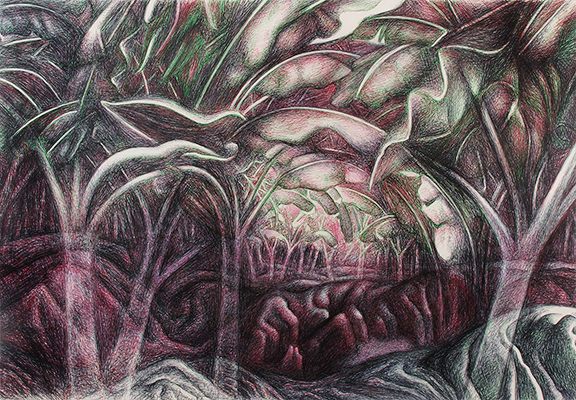 In works of art, many artists place their perspective on the forest entrance. 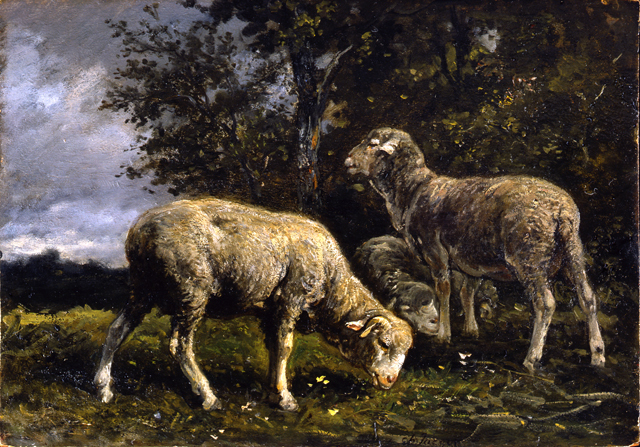 Charles Emile Jacque, Moutons sous un arbre (Sheep under the Trees), Oil on panel, Schiller & Bodo European Paintings. Click to inquire. 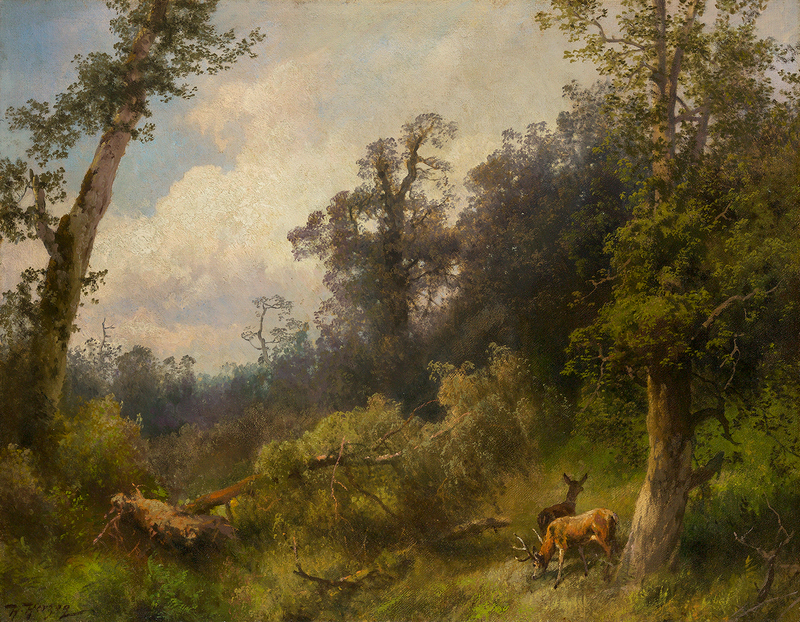 Hermann Herzog, Deer in Forest, Oil on canvas, Questroyal Fine Art. Click to inquire. Whether lured there through its fauna, or by the breadcrumbs in Hansel and Gretel, the forest, and its unknown inhabitants, allows humans to speculate. A facilitator of imagination and untouched by humans, anything and everything can arise from its depths. Spooky. 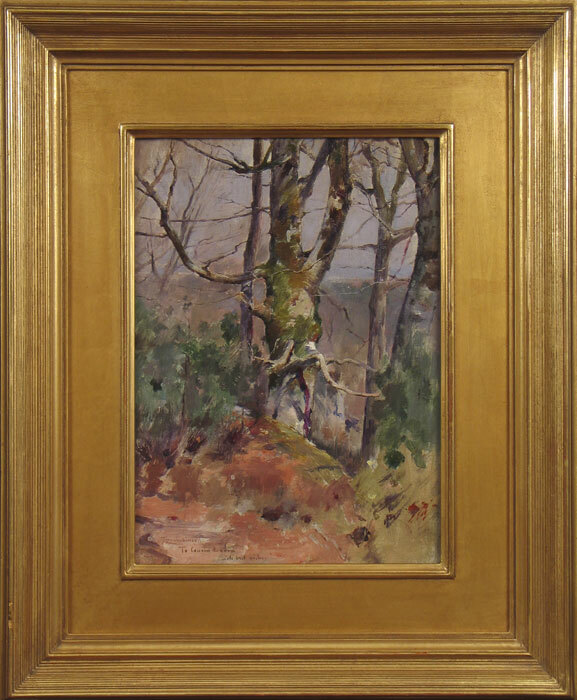 Theodore Robinson, Spring Sunlight: Forest of Fontainebleau, France, Oil on board, Godel & Co. Fine Art. Click to inquire.